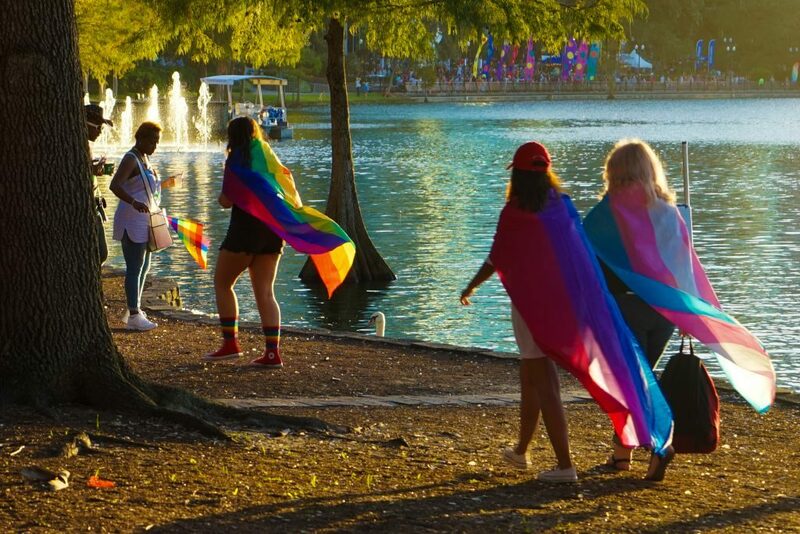 9Orlando, the theme park capital of the world, might not scream gay destination holiday on first thought – but away from the I-Drive hotel zone you will actually find one of the most LGBT-friendly cities in America. 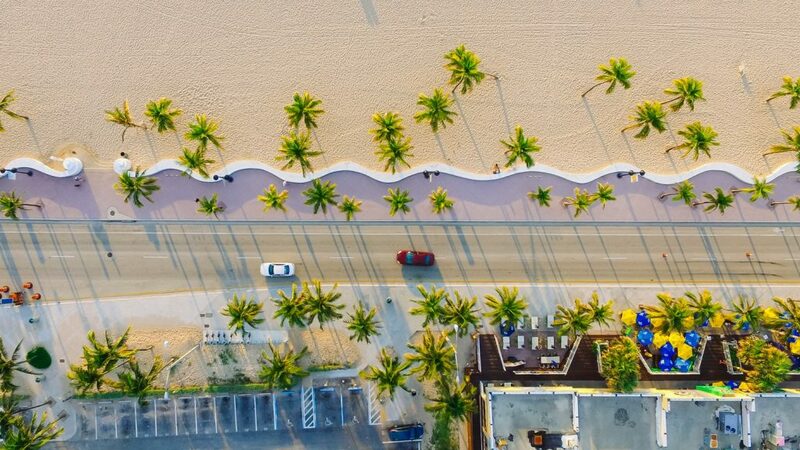 Vibrant communities, trendy neighborhoods and close proximity to fabulous beaches have created the perfect conditions for a distinctly cosmopolitan vibe to take hold, and today Gay Orlando has one of the most lively queer communities in the world with a distinctly Latin twist. 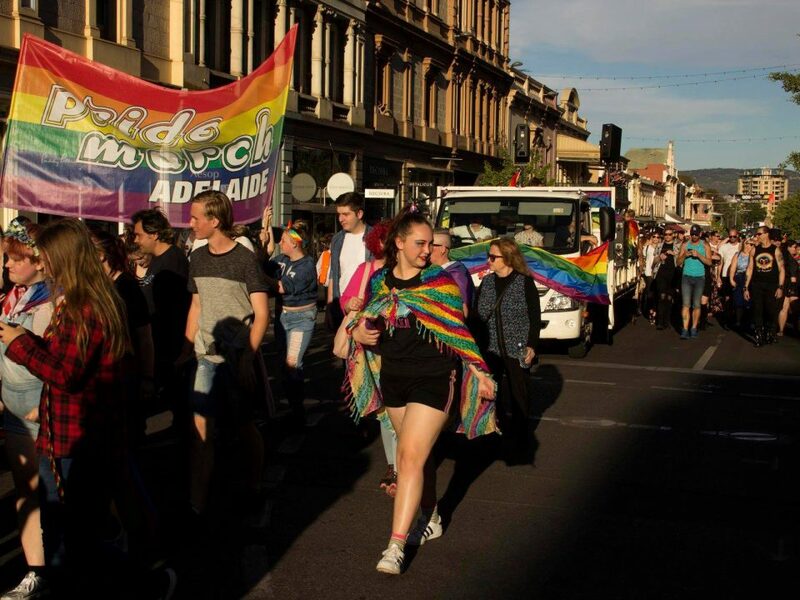 The legendary Parliament House, Disney Gay Day’s and the annual Come Out With Pride events are some of the highlights of Gay Orlando, but there is also plenty of modern dining, live music and gay events! Add to this the legendary theme parks and affordable travel options to get here and you will understand why Orlando is the number one travel destination in the USA and a growing gay destination holiday location. Orlandians stood together in the wake of the Pulse nightclub tragedy, and today the community is strong and the region more committed to inclusiveness and diversity than ever before. Rainbow flags and light displays still cover the city, Orlando Pride transforms the entire city and everybody has come together, united – providing that love will always prevail. Come discover for yourself the rich and vibrant culture of Gay Orlando – Honour the Pulse victims and help Orlando heal through the power of dance. Keep Dancing Orlando! 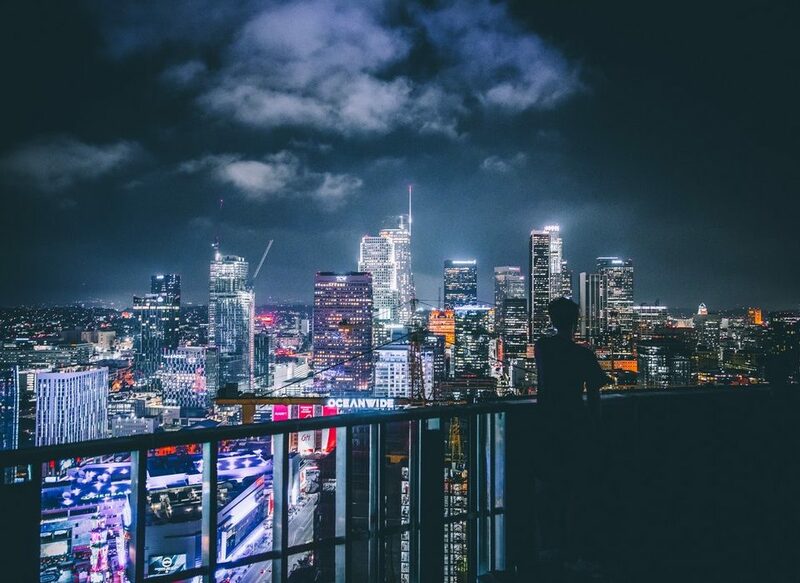 Naturally being gay does not define which attraction most of us will want to see in each city and most queer travelers will simply want to check out the top things to see in Orlando during the day! Orlando is a tolerant and progressive city and gay travelers in this part of Florida do not need to take any precautions concerning public displays of affection. Universal Studios – Grab a two-day ticket to Universal Orlando and keep the ultimate theme park adventure going! Hop on world-famous rides and attractions and enjoy the thrilling experience of state of the art rollercoasters. 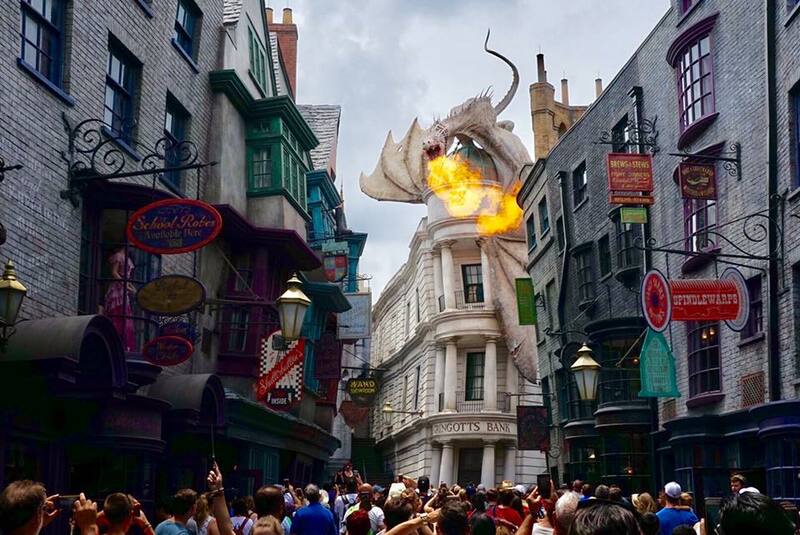 Universal is also the ultimate Harry Potter fan destination so be sure to make stops at Hogwarts, Diagon Alley, Gringotts and more! Walt Disney World – Make your dreams come true with an unlimited pass to the biggest Walt Disney World. 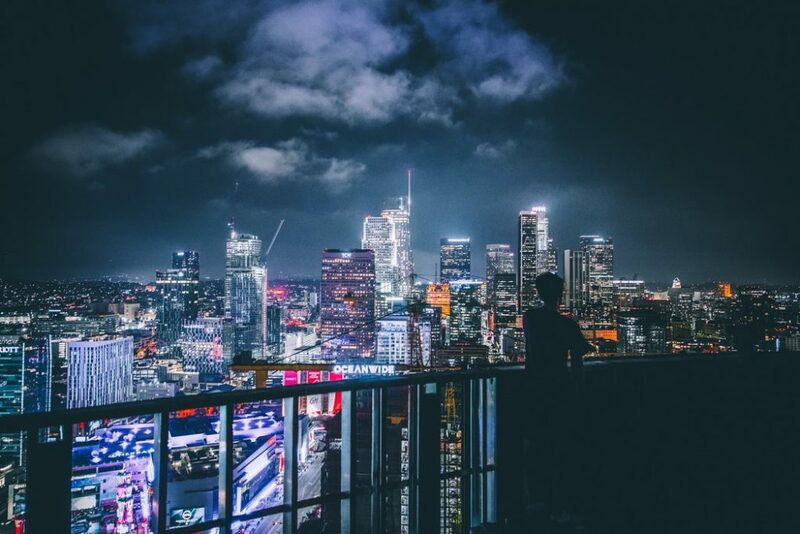 Sure Tokyo, Hong Kong, Paris, Shanghai and LA are great… But nothing compares to this! 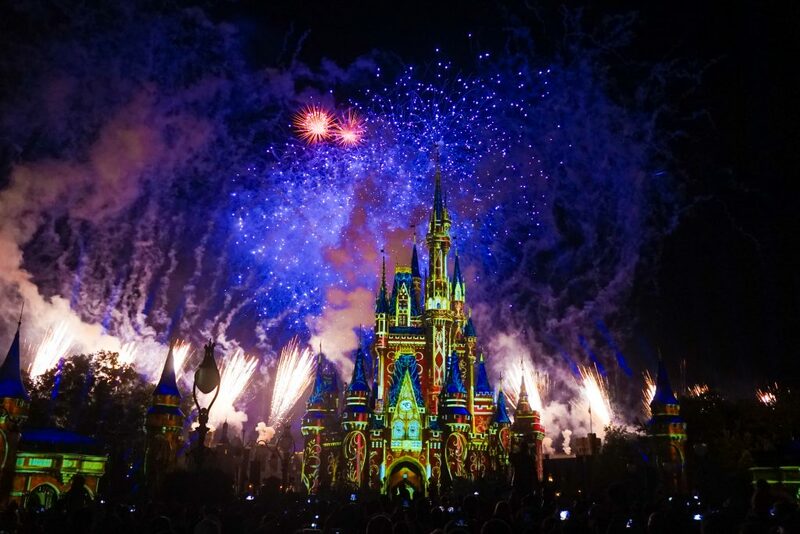 Explore the exciting Magic Kingdom, Epcot, Disney’s Hollywood Studios and Disney’s Animal Kingdom and say goodbye to the exciting day with a stunning musical fireworks show! Category is: childhood nostalgia realness. 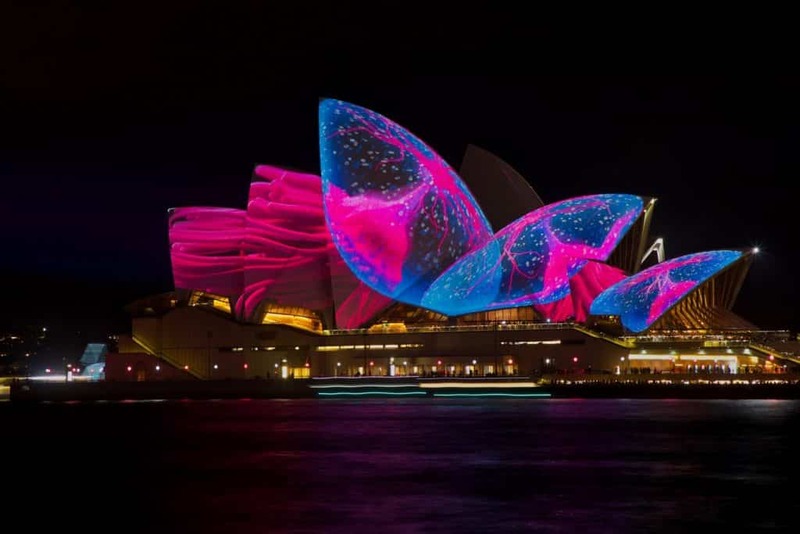 La Nouba by Cirque du Soleil – Enter the wondrous world of make-believe where La Nouba brings the essence of magic, miracles and the extraordinary for you to enjoy. Located at the uniquely designed theatre of Disney Springs featuring world-class sound and lighting systems, La Nouba is a show of several thrilling acts including dazzling choreography, energetic soundtracks, interesting characters, bold acrobatic acts and more! Kennedy Space Center – Enter NASA’s most important base and visit where history has taken place. A holy land for many aerospace and military technology aficionados, why not experience all the aerospace facilities here and be an astronaut for a day! Plaza Live Orlando – One of Florida’s oldest theaters that was transformed from a cinema to a theatre space, and now into a popular music venue. Frequently hosting the best ‘small’ acts in town, check out their line-up if you have a spare night while in Gay Orlando. Blue Man Group – Dare to live in color as Blue Man Group brings heart-pounding percussion, comedy, live music and over-the-top theatrics to the Universal Orlando Resort! This resident show takes place in a small and intimate setting, but the show itself is larger-than-life. 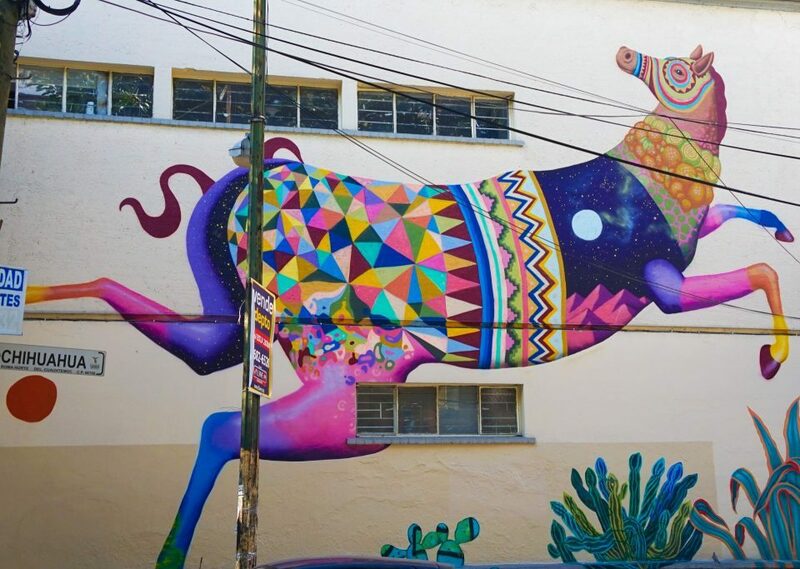 Milk District – Orlando’s premier gaybourhood and cultural hub for those seeking a progressive lifestyle and features a lively music and arts scene, diverse culinary options, creative street art, and murals – as well as a healthy dose of coffee shops, craft beer distilleries and music venues. Great to explore by car during the day, or on foot in the evenings! Tasty TakeOver – An ever-changing assortment of delicious food trucks serving everything you could possibly want: Vegan, Asian, Latin, BBQ, Tasty Takeover have everything. The portions make it a bit tough to try all the trucks in one visit, but their convenient location at 2424-2432 E. Robinson Street between Bumby & Primrose means you will surely be coming back for more! 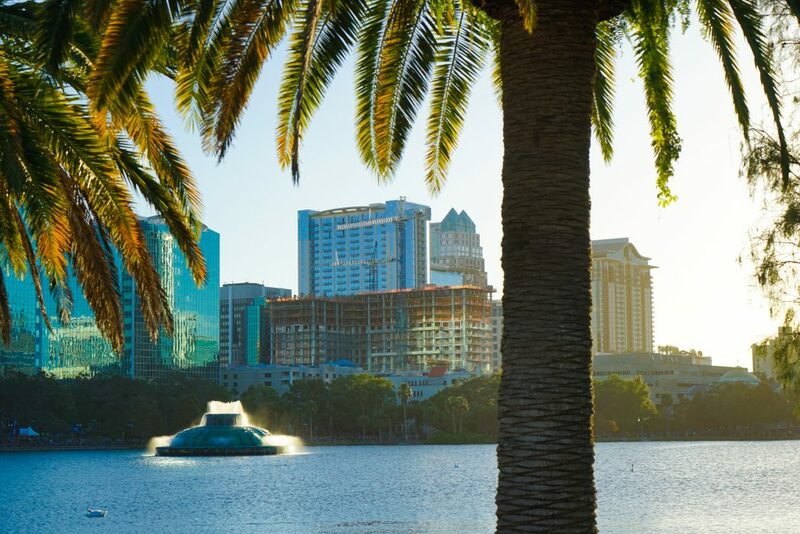 Lake Eola – A relaxed spot to visit in the evening which popular with toned, shirtless joggers and hosts epic city views. Is also the site of Orlando’s Annual Come Out With Pride event. 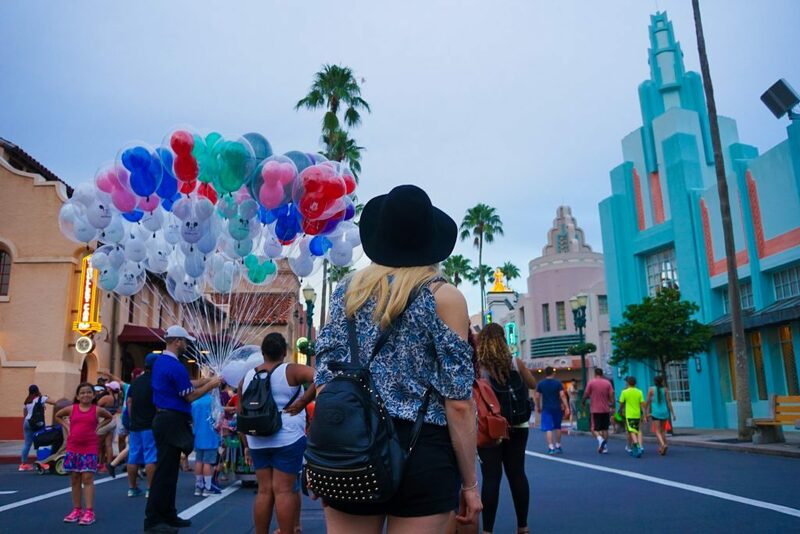 Go Orlando Card – Experience Orlando’s best attractions without the hassle of waiting in line to pay for your ticket. 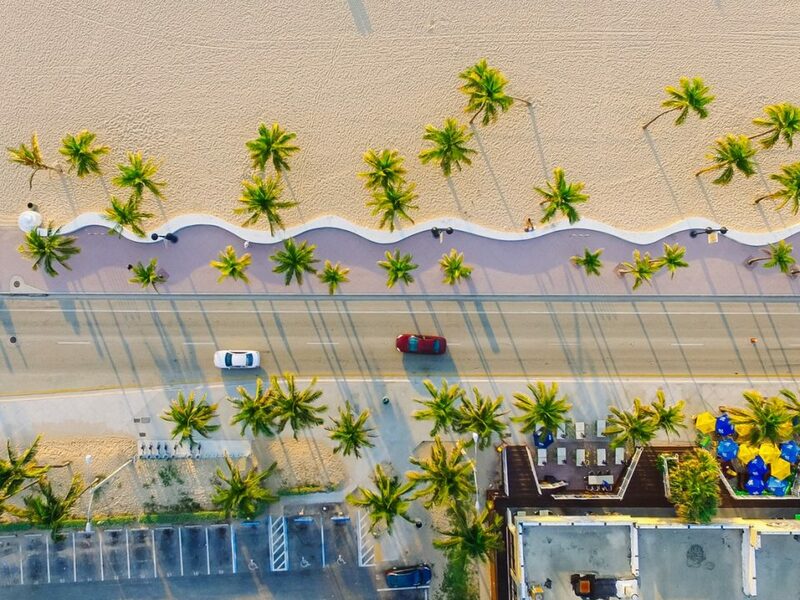 Pick from 17 available attractions and schedule where you want to go at your own pace while also enjoying discounts on other activities, shops, or dining experiences. Medieval Times – Spend a dazzling evening in a castle lined with artifacts, armor, and coats of arms, for dinner and a show. Marvel at the breathtaking displays of pageantry, horsemanship, and falconry in castle prior to showtime then cheer for your knight through a series of exciting jousting matches during this 2-hour bizarre show. 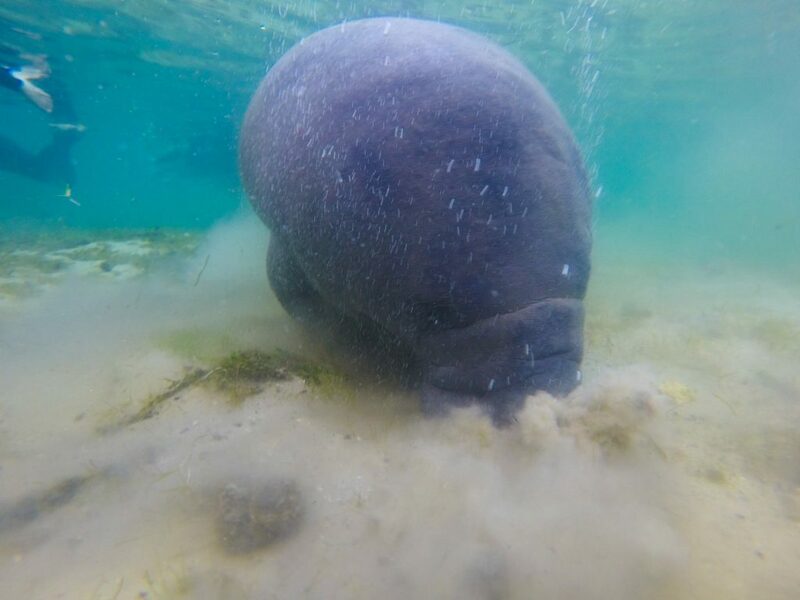 Miami Day Tour – Explore the sunny city of Miami in a day tour from Orlando, take a thrilling airboat ride in Everglades park and get close with nature and animal wildlife then enjoy the views of the homes of rich and famous and beautiful cityscapes with a Biscayne Bay Cruise. The next best thing to actually going to Miami, Key West or Fort Lauderdale! 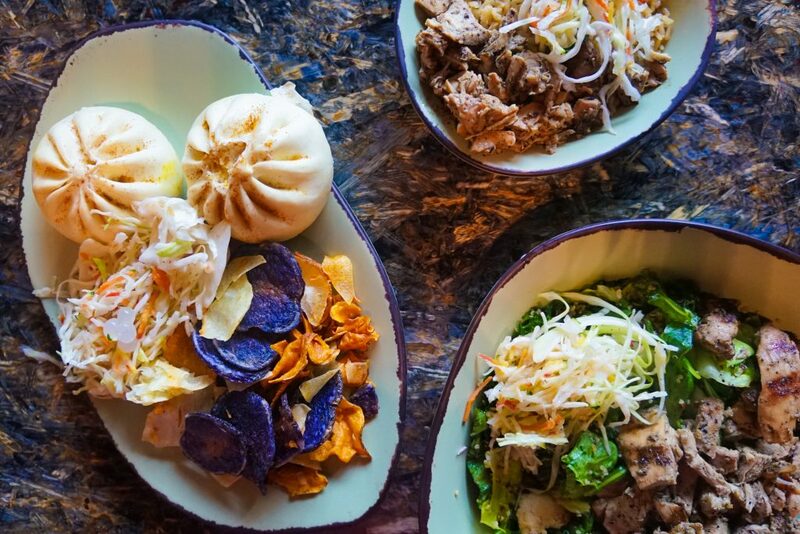 The dining scene in Orlando is currently said to be in its puberty and at any given time there is a number of new neighborhood restaurants opening up to cater to adventurous tastes, but casual restaurants and food halls – the mainstays of Orlando dining, continue to be popular. 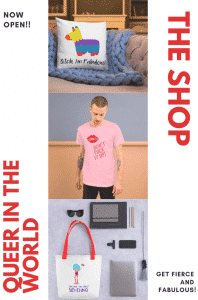 Below are some of the more progressive, and interesting, options available – along with a few staples – which are extremely gay-friendly and not to be missed. However, you should also head over to Tasty Chops, an Orlando Food Blog with the latest developments! Hamburger Mary’s – An downtown Orlando institution with a Broadway Brunch, Dining with the Diva’s, Bingo and many, many more LGBT orientation events. Classic American appetizers, burger and drinks served with a side of sass! Market On South – A trendy vegan restaurant, bakery, and bar served delicious food throughout the day complete with outdoor tables under a giant tree. A strongly inclusive atmosphere with many events, markets and some of the best doughnuts in town! Pom Pom’s Teahouse – A small cafe in a quiet block served funky teas and creative sandwiches and sides – all with eclectic personalities and art. And it’s open all night on weekends! Hawkers Asian Street Fare – A modern fusion joint taking the best parts of Asian Street Fare with strong Malaysian, Chinese, Korean, Singapore, Vietnamese and Thai influences. 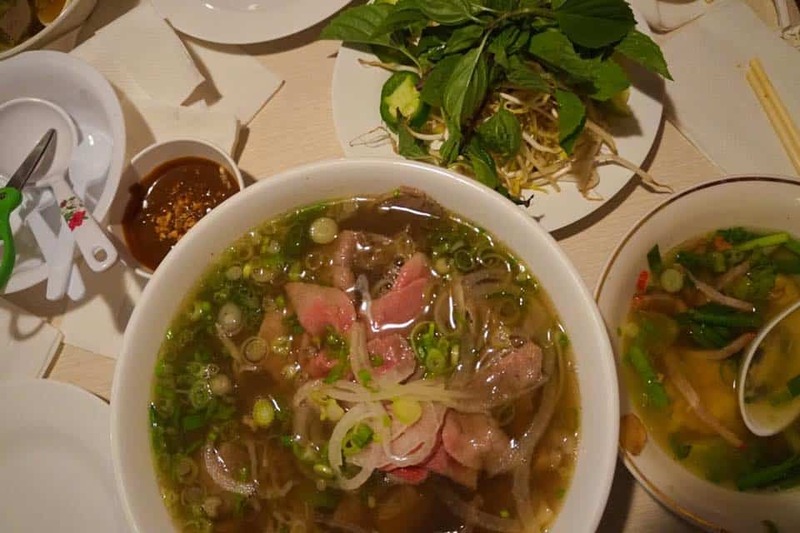 Located in a delicious Asian food bubble, so explore nearby for amazing Vietnamese Pho or snack at the famous King Bao. Maxine’s On Shine – Extremely popular for their liberal brunch pours, comfort food and quiet residential location, Maxine’s is perfect for long, leisurely meals that drag on for hours. Seasons 52 – A more high-end wine and grill bar with live piano music to set the tone. 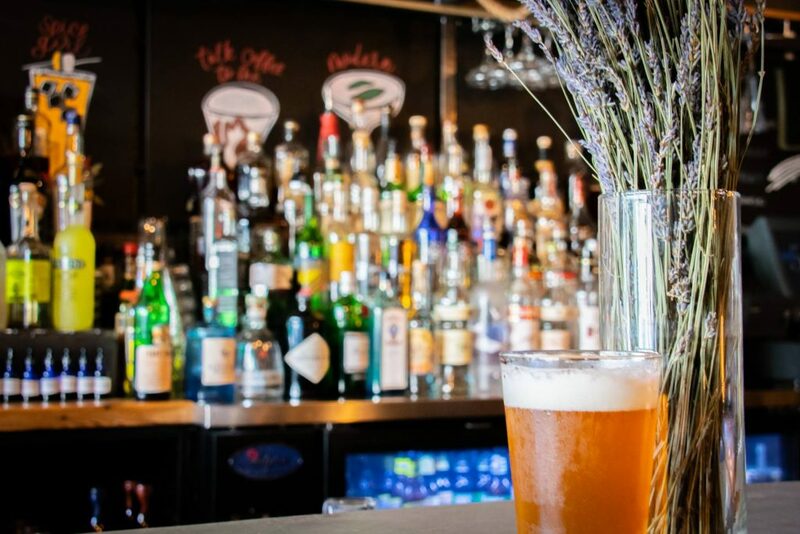 On the edge of Lake Eola, the focus on living well and seasonal produce – and have some of the best Happy Hour deals in town! Señor Frog’s Sunday Drag Brunch – Reserve your tickets in advance, this is one of the country’s premier Drag Brunch known for bottomless drinks, hours of entertainment and past contestants of Ru Paul’s Drag Race dropping in from time-to-time. Epcot International Food & Wine Festival – A annual Disney event held annually from August to November at Epcot. 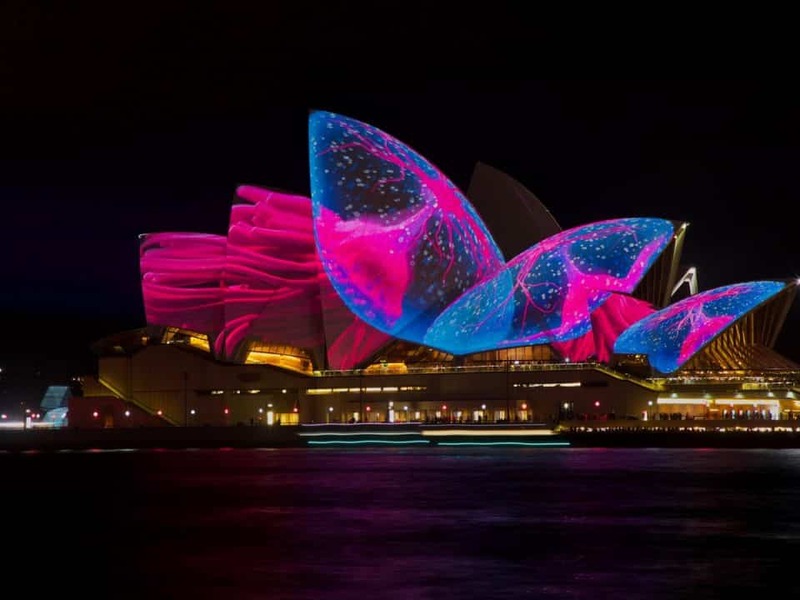 Stalls, concerts, performances alongside food and drinks that reflect various countries – this is Disney for the adults and an atmosphere you will never forget! 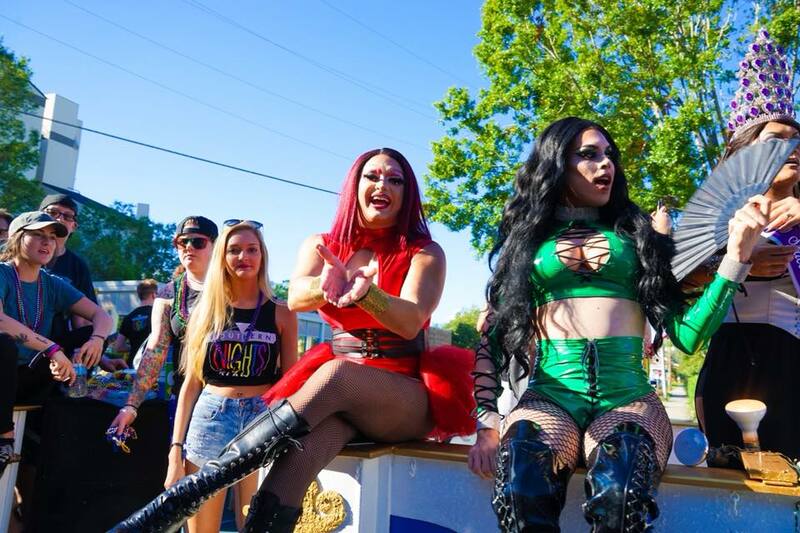 With Orlando being rated one of the gayest cities in America, you would be right in expecting a huge line up of LGBTQ+ entertainment year-round! The behemoths of Gay Orlando events are One Magical Weekend, Disney Gay Days, the International Bear Bash and Come Out With Pride Orlando. 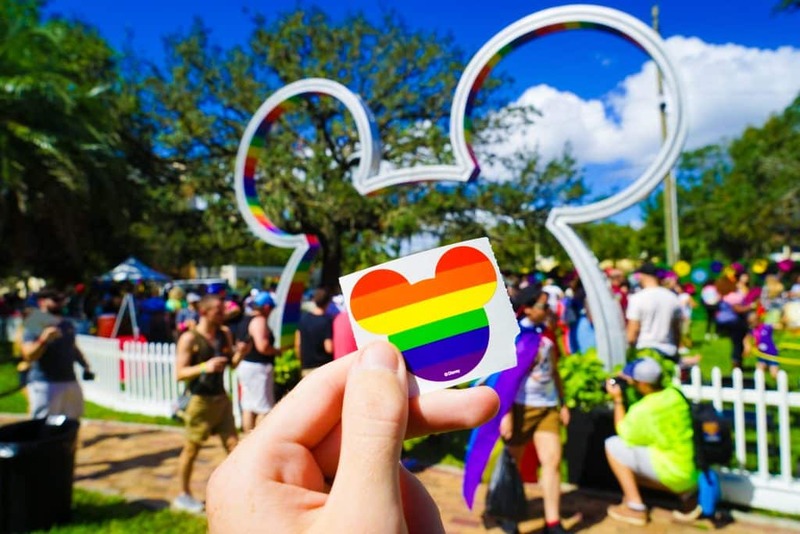 Disney Gay Days – An annual week-long family-friendly event in June where queer people vacation together at pre-designated Disney World Parks. 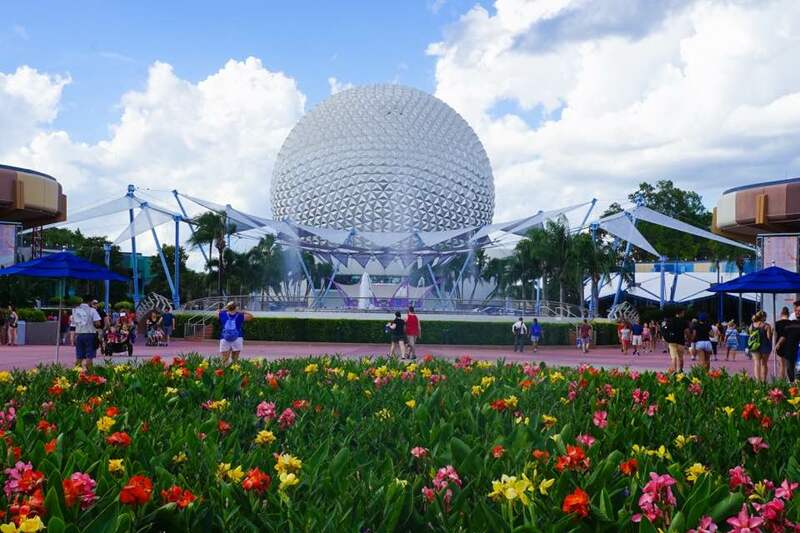 Although not officially sanctioned by Disney, it was attended by over 50,000 people last year so be sure to book your hotels near Disney World well ahead of time. The event covers each of Disney’s Parks each day (so a 4 parks in 4 days Disney pass is best) and is one of the best gay vacation ideas for both the young, and young at heart! One Magical Weekend – Piggy-backing somewhat on the success of Disney Gay Days in June, but entirely without the wholesome fun is One Magical Weekend. A three-night circuit park coinciding with Gay Days, including the biggest DJs. Think a private all-night party at Disney’s Typhoon Lagoon Waterpark, all night dance sessions and therapy pool-parties by day…Why choose between event’s when you can do them both?? The International Bear Bash 2018 – Bears, cubs and otters descend on Orlando in September for one weekend of all-out mayhem. 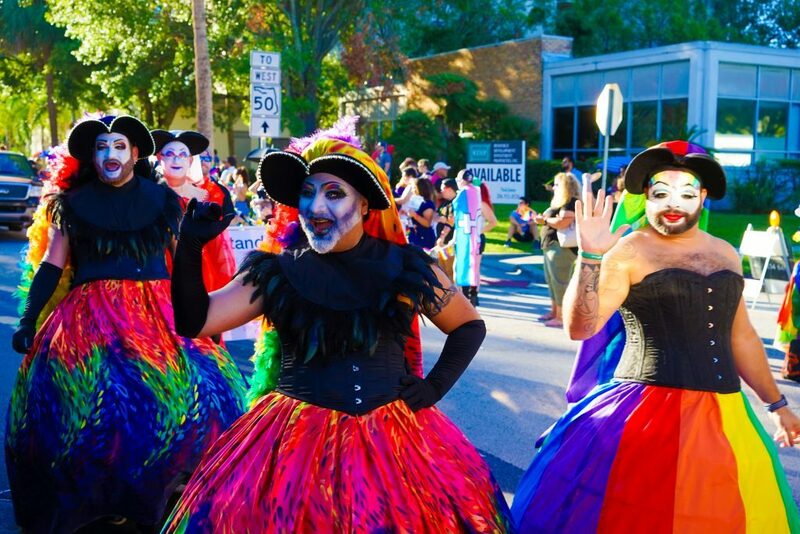 With a masquerade ball complete with leather, whips and uniforms, ample Happy Hours, associated events, theme parks and the Bear Bash Cabaret this is one event to plan your summer vacation around! 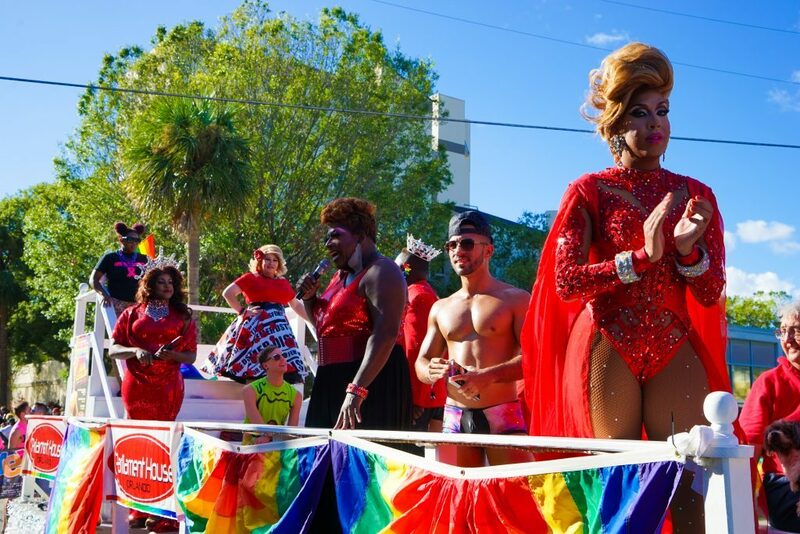 Orlando International Fringe Festival 2018 – Not strictly LGBT focussed but with a fully inclusive atmosphere, this a 14-day annual arts festival in May is America’s biggest and oldest fridge festival. Consistently voted Orlando’s best annual event, no list of gay events in Orlando could be complete without it. 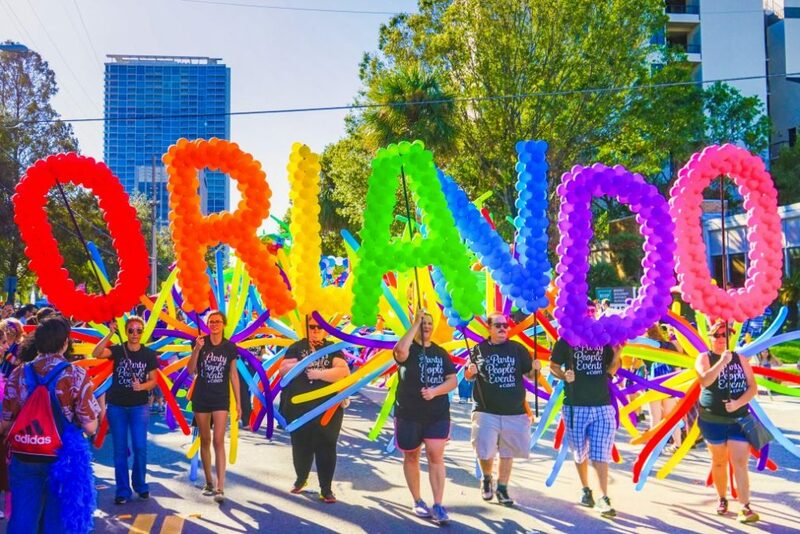 Come Out With Pride Orlando 2018 – The largest LGBT event in Florida, Pride Orlando held annually in October brings together the LGBT community and friends to celebrate progress and diversity annually. 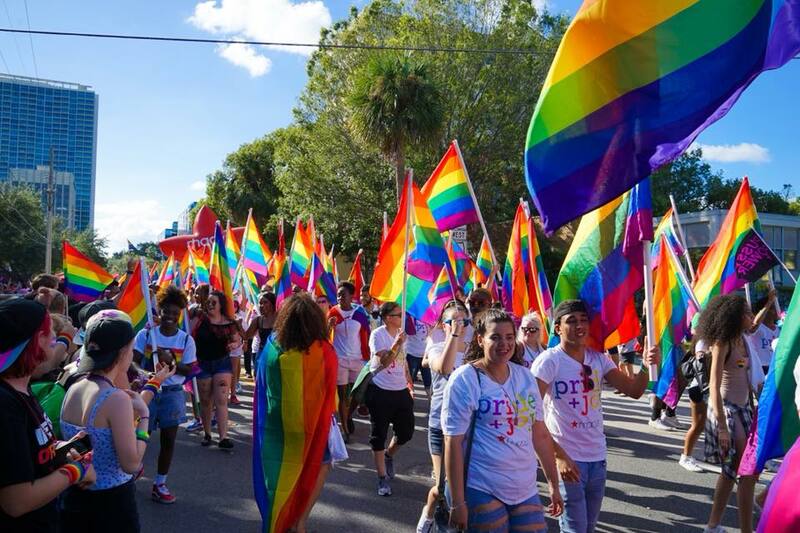 A week-long roster of events culminated in a festival and parade at Lake Eola, after the tragic event at Pulse Nightclub this is truly the celebration the city needed to bring it together. Halloween Horror Nights – A epic once in a year event in October at Universal Orlando where you can explore up to 11 haunted houses, including those inspired by horror plays Trick ‘r Treat and Stranger Things. When the sun sets, the whole Universal Orlando turns darker, eviler, and will surely leave you shaking. 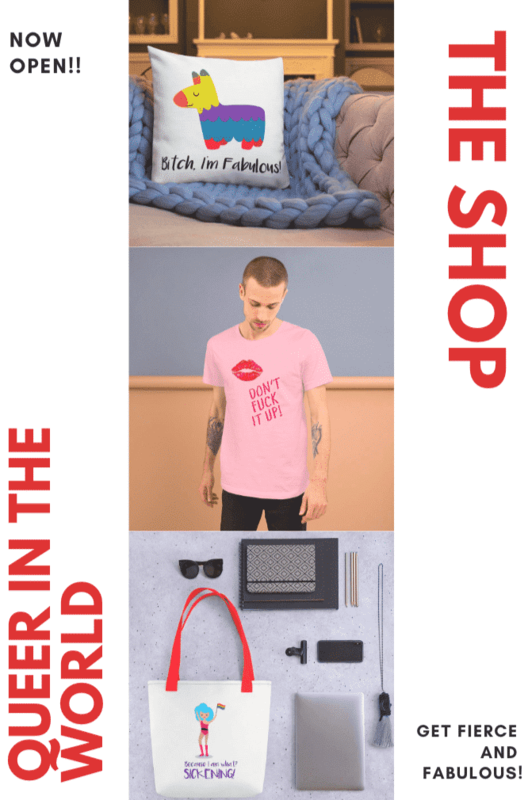 Ok, it is not gay at all – but it is utterly fabulous and not to be missed…Seriously! In Orlando, you would be hard-pressed to find a major hotel which had any issues with gay guests – but there are some hotels which prioritize creating a diverse and inclusive environment for their guests, which are features here. These gay-friendly hotel chains – and one landmark gay hotel in Orlando- are frequented by members of the LGBT community and have great reputations. Each offers something very specific, and being Orlando children will be common at many, so be sure to choose the right style and location to meet your needs. Of course, there are also hundred’s more hotel options in Orlando if none of these suit your desired budget, facilities or area. 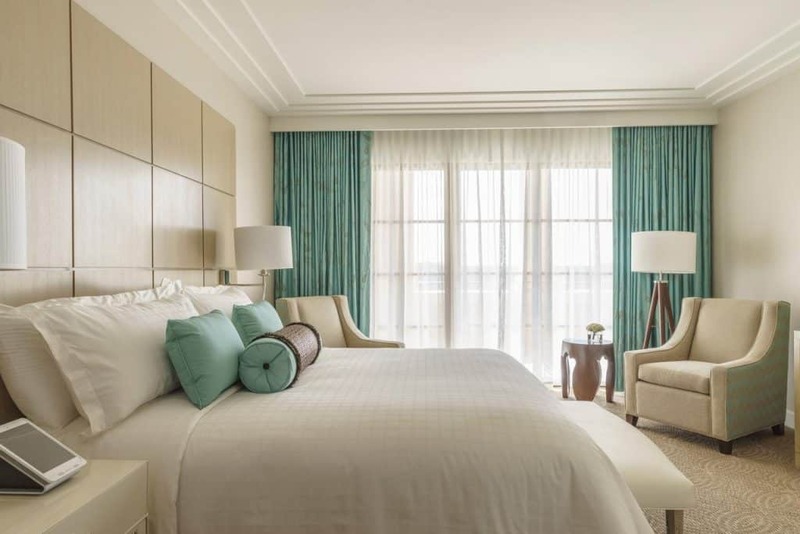 Four Seasons Resort Orlando at Walt Disney World Resort ☆☆☆☆☆ – Nestled in a secluded, residential setting within the Walt Disney Resort Resort, this AAA Five Diamond Resort is a lakeside haven dotted with gardens, pools and towering pillars of palms and cypress. Enjoy refined rooms and suites, treat yourself to a soothing, post-park massage, or toast the evening fireworks with dinner at the rooftop steakhouse. The perfect blend of Four Seasons experiences and Disney offerings, including access to extra magic hours and the Disney FastPass+ up to 60 days prior to arrival. The perfect luxury home base for your next Gay Orlando adventure, magical moments guaranteed! 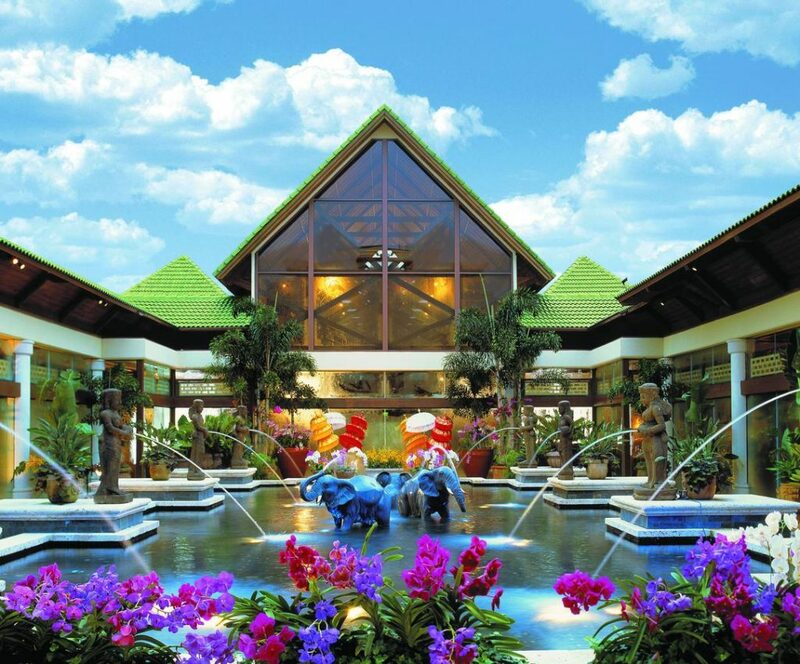 Loews Royal Pacific Resort ☆☆☆☆☆ – A tropical oasis inside Universal Resort, the waterfalls, and landscaping – not to mention the villas – all scream luxury. If pampering and exotic retreats are your things, you have come to the right place! This is especially worth it as by staying one night you are offered by Loews 2 days of Express Pass & Early Entry to the theme parks. Disney’s Contemporary Resort ☆☆☆☆ – An iconic on-site Disney Resort with a mono-rail stop inside the building, this resort is best for those wanting to make the most of the Magic Kingdom, complete with extra magic Happy Hours where the parks are only open to on-site guests. Combined with award-winning dining options, amazing views, and a huge pool this is perfect for any Disney-fanatic! 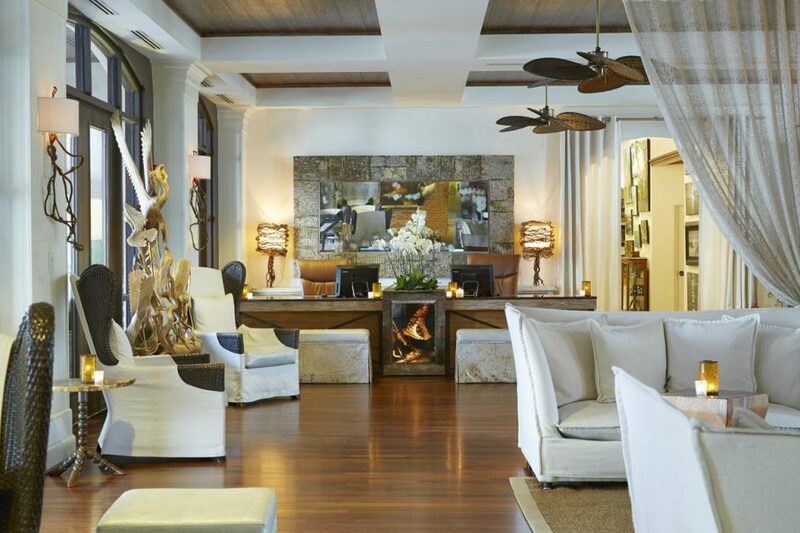 Bohemian Hotel ☆☆☆☆ – Depart from the hustle and bustle found at other hotels in Orlando. Instead, step back in time to a place where the spirit of Old Florida echoes all around. Surrounded by turn-of-the-century charm, you’ll awaken your inner romantic as you explore one of the most unique hotels in Orlando. 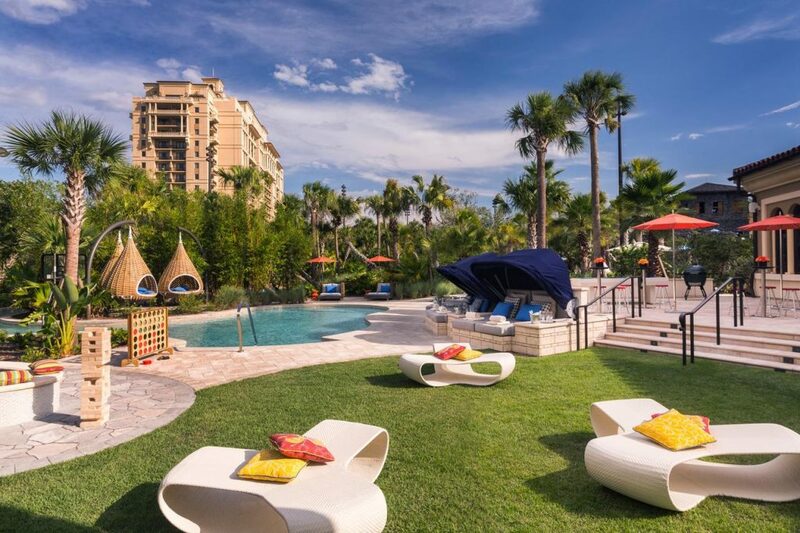 Featuring colorful rooms decorated with custom artwork, an upscale bar and grill with a terrace, fitness center and day spa – You could be forgiven for just skipping the parks or gay nightlife in Orlando entirely and staying here all day (or night) long! Castle Hotel, Autograph Collection ☆☆☆☆– You can be Queen of your own castle in this well-appointed hotel close to the theme parks on I-Drive. 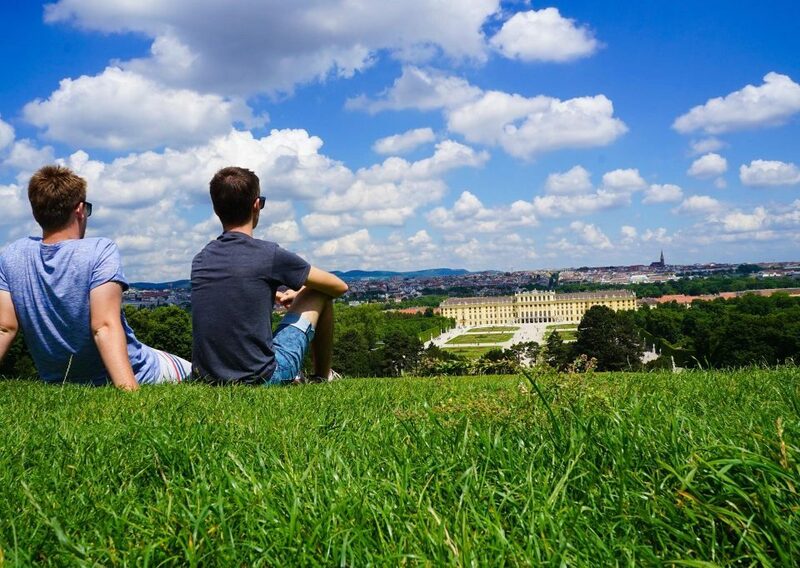 The stately Bavarian architecture and original artwork are sure to make you feel special – and the roof-top offers a nice retreat with a glass of bubbles. Grand Bohemian Hotel ☆☆☆☆– Elegance and sophistication in Downtown Orlando, this hybrid romance, and gothic building emanates class and is sure to make a very special stay. 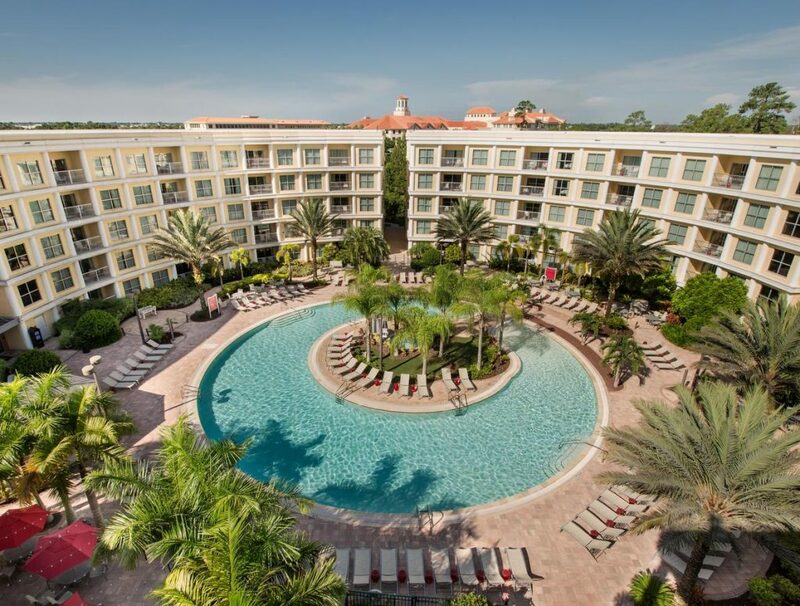 Melia Orlando Hotel ☆☆☆☆ – An oasis of stylish comfort just a short distance from Orlando’s countless attractions and parks – and an official Walt Disney Good Neighbor Hotel with roundtrip transportation to the Walt Disney World theme parks. Enjoy family fun and relaxation at the sophisticated Meliá with elegant 1- and 2-bedroom suites, a bar with live entertainment, outdoor walk-in pool, a hot tub and complimentary parking. Hyatt Regency Grand Cypress ☆☆☆ – A more family-friendly option adjacent to Disney World, there is plenty of luxury amenities here to fill your day with so you won’t even have to go to the parks! Drury Inn & Suites Orlando ☆☆☆ – A simple hotel with wonderful staff, central location, and low prices – many things are even walking distance so if you don’t have a car this is also a good option. A free daily hot breakfast and nightly reception are provided while guests can also lounge by the pool or burn a few calories in the fitness center. Blue Heron Beach Resort ☆☆☆– Apartment living with all the comforts of home and a lake view. Enjoy your own space and privacy with plenty of amenities close to Disney World. Parliament House ☆☆ – Anything goes herein one of America’s most legendary gay resorts located just north of Downtown Orlando. 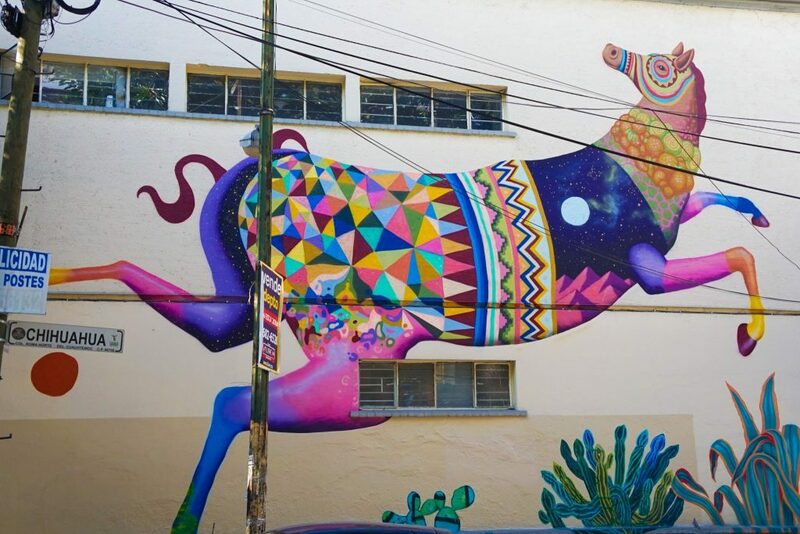 With a club, bars, a swimming pool and a stellar line-up of weekly events popular with tourists and locals alike this is the place to stay for an unforgettable party. The rooms are basic, but don’t worry – you won’t be sleeping much here! Despite the rise of Grindr & Co, gay bars and gay clubs in Orlando continue to thrive in large part due to the community and culture they provide. 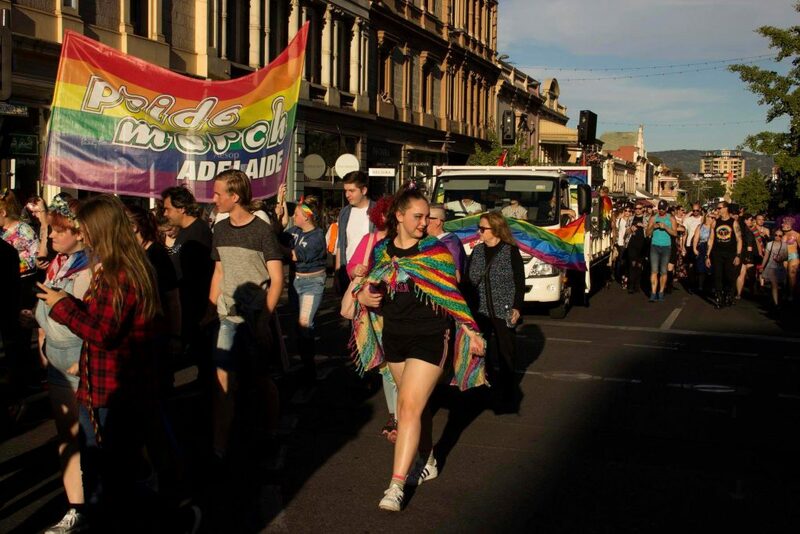 Most places no longer cater for only LGBT patrons, and you should feel free to bring any friends or supporters along with you. Many cater to the gaybourhood crowd (though sadly exclusively lesbian clubs in Orlando are lacking) and are located away from the main-theme park areas, and it’s not uncommon for a massive club to be found right in the middle of a middle-class suburban neighborhood. Get a taxi/rideshare app (for international visitors most clubs have WiFi if needed) and please don’t drink and drive – Like many gay bars, they make the drinks hard and stiff here! Parliament House – Everything you could possibly need in one space. An all gay bar, club and hotel mega-complex with plenty of events and big name shows. It might be dated and a little dirty, but with something on every night there is a reason why everyone just keeps coming back! Stonewall – A laid-back neighborhood dive bar catering for the LGBT community. A great place to grab a drink – and some great Happy Hour specials, with food, billiards and more. Hanks – A no-frills Neighbourhood cruise bar with a strong local vibe. Expect cheap drinks, a generous happy hour and a landscaped outdoor patio. Southern Nights – A huge multi-room club with a special girls / lesbian night every week (Making Southern Nights the closest thing to lesbian clubs in Orlando). 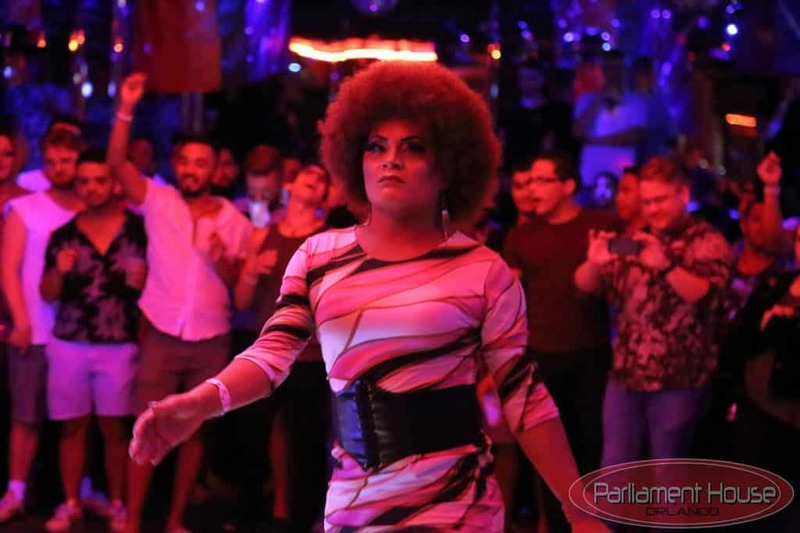 Plenty of areas to dance, chill and mingle – South Night’s will be packed in the weekend and most nights with weekday events such as their famous Drag Race competitions. 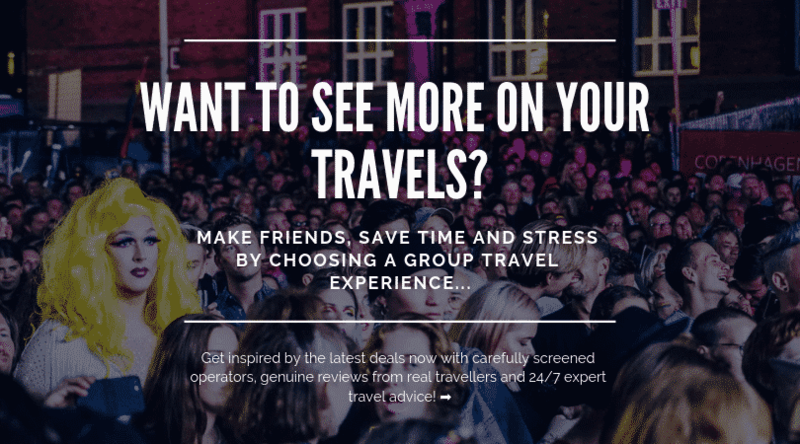 Savoy – A up-scale lounge where you go to see-and-be-seen! With hot bartenders, even hotter go-go dancers and a chic decor, this is the place to go for early drinks and to stay well into the night. Southern Craft – The partner establishment down the road from Southern Nights, this subdued bar offers classic and creative cocktails in an industrial setting. Perfect for some pre-gaming or a quiet night out! 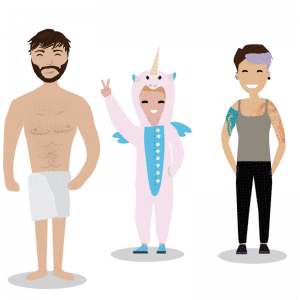 One place where Grinder et al has really made a difference worldwide is the closing of saunas and bathhouses. 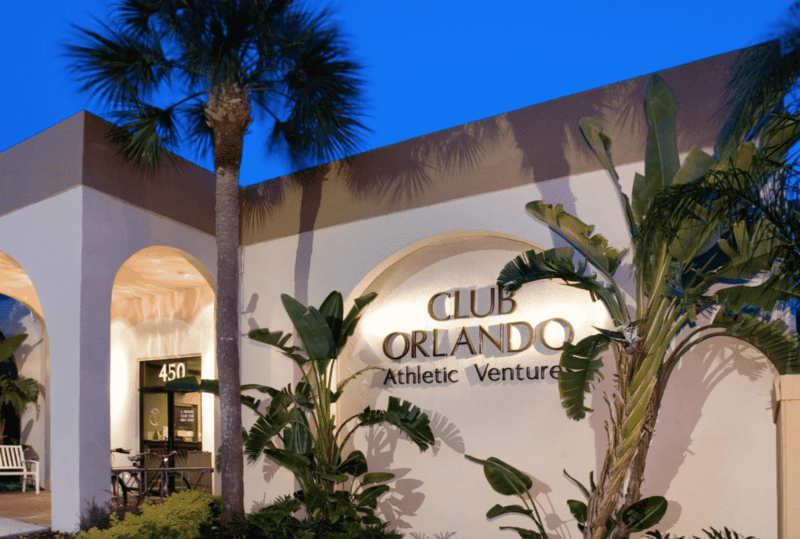 In Orlando, the bathhouse scene has been particularly hard hit and today only Club Orlando remains – though it is one of the top bathhouses in the United States. Extensive, clean and with a contemporary flair, it looks and feels like you are going to a high-end spa (and why not? We are not in the stone-ages anymore!). There is a large heated swimming pool on site along with an outdoor sunning area, group showers, a hot tub, gym and full steam and sauna available – not to mention modern lounge areas to relax in. As promised here is our exclusive Orlando gay map with all of the best gay bars, gay saunas, gay massage spas and recommended gay hotels in Orlando that we have already highlighted! We recommend you star the map to view on your own Google Maps later – say when you are wandering around the streets of Orlando, but take a look now so you can come to grips with where everything is. 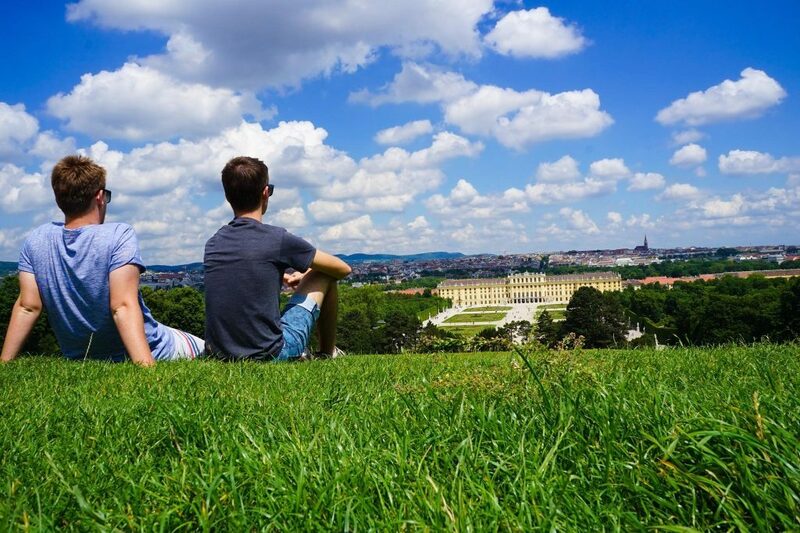 Gay travel is more than enough fun…. without being lost!